The Easter break has just finished and thousands of students have come back to Leeds to resume studying. The massive influx of students into the city has given transport app Uber a massive increase in business, but is it good news for more local taxi companies? Uber Taxi parked outside Leeds Train Station. 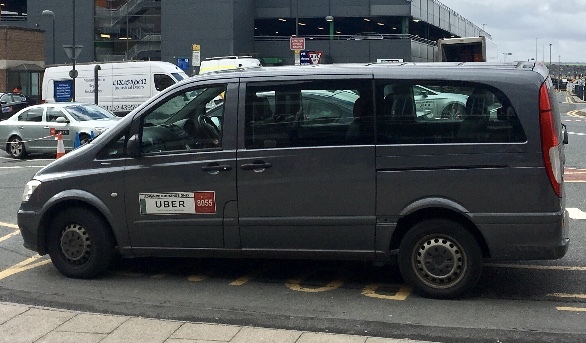 Recently drivers of Uber held a protest in Leeds City Centre against the size of surge pricing and the amount of actual payment they’re receiving from Uber. Jay Ahmed, who works for Arrow taxis, commented on how Uber has affected himself as a local taxi driver and the business he works for. “Uber isn’t necessarily a bad thing, I completely understand why students would use it, but once term time begins and things such as surge pricing which can make the travel fair more than three times the usual cost. The increase in the usage of uber has a clear correlation with the amount of students in Leeds at the time but whilst some local taxi drivers believe it’s causing them to lose business previous taxi drivers have now turned to Uber as a better source of income. Mohammed, an Uber driver in Leeds who formerly worked for the local taxi company Amber, explained how Uber has given him the freedom to choose when he works and how long for. In addition to describing the simplicity of the app, he also commented on how he has received a lot less trouble from punters now he works for Uber. So the question remains could Uber receive the same treatment in Leeds as it has in London, York and Sheffield? Is it here to stay?